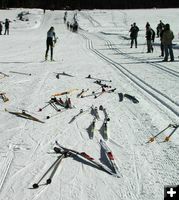 The Pinedale High School Nordic Team hosted a Nordic Ski Meet in Pinedale at White Pine Ski Area on Friday, February 4th. 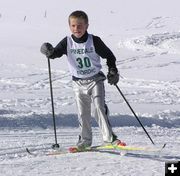 Nordic teams from Lander and Jackson came to Pinedale to participate in the meet. 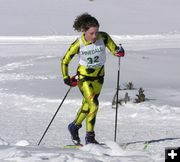 The Pinedale Nordic team is coached by Holly Thayne. 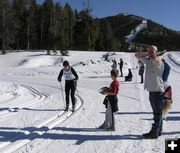 Cross-country skiers will find more than 35-plus kilometers of FREE cross-country ski trails and 9K groomed for classic and skating lanes at White Pine Ski area near the resort. 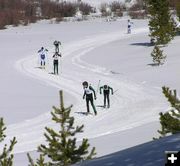 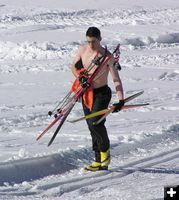 The Pinedale area has many more kilometers of nearby groomed Nordic skiing trails. 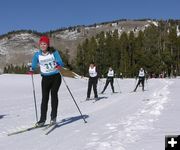 Sublette County gets great snow for Nordic skiing, with trails crossing through beautiful scenery in uncrowded areas.